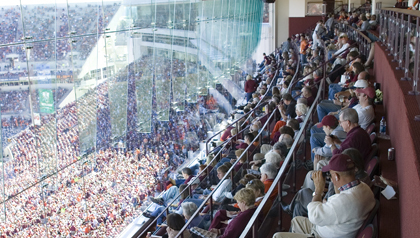 The Premium Seat experience is unlike any other for you and your guests. 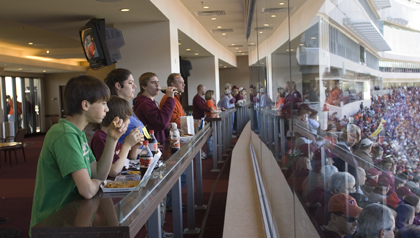 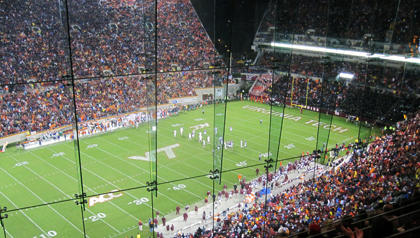 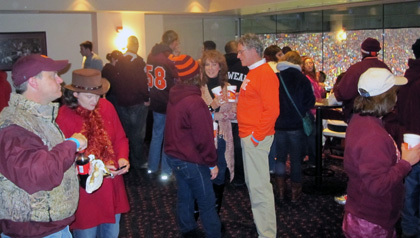 Be on top of the action with the best views in Lane Stadium and steps away from first-class food and beverage options. 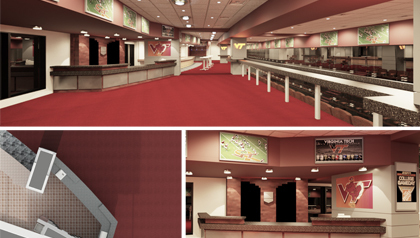 Premium Seating features many amenities depending on location, including unique food and beverage options, upgraded technology and televisions, enhanced WiFi connectivity, and the opportunity to purchase parking (based on availability). 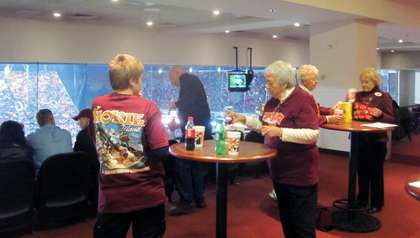 With the purchase of Premium Seating a portion of your seat gift commitment will go directly to the Hokie Club annual fund, supporting the scholarship needs of our student-athletes. 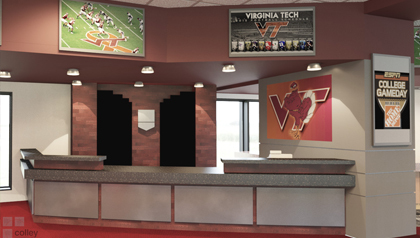 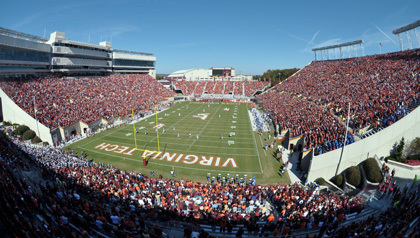 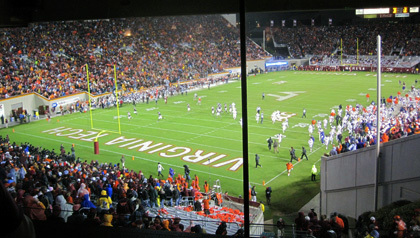 Premium Seats in Lane Stadium are located on the West Side of Lane Stadium, including Indoor Club Seats and Outdoor Club Seats, as well as Zone Club Seats and Touchdown Terrace Seats in the South End Zone. 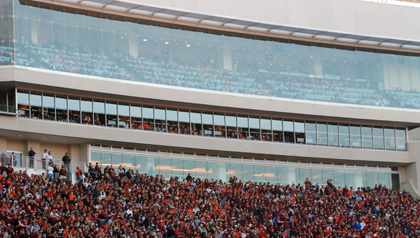 Also available are Goal Line Premium Seats in the South End Zone, which feature bench-back seating. 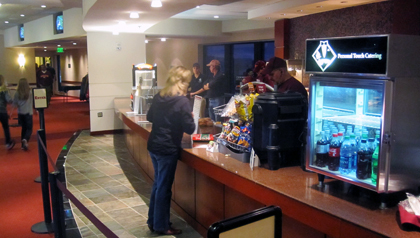 Take a moment to scroll through and learn more about Premium Seating options and explore all the amenities and benefits that come with Premium Seats. 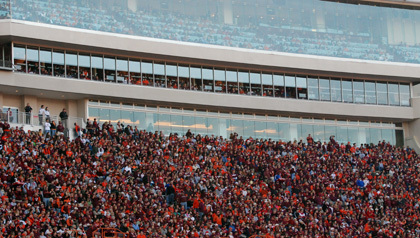 Take advantage of these great seats and enjoy the experience of Virginia Tech Football. 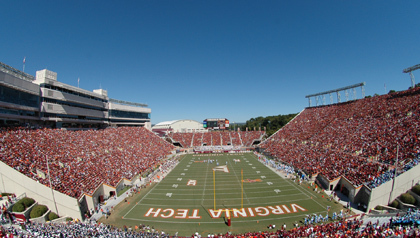 We look forward to seeing you in Lane Stadium! 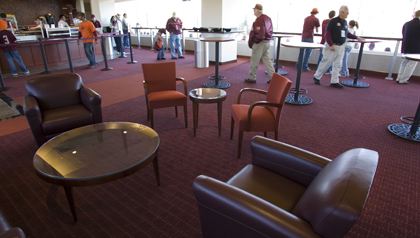 Your seat donation for any of Lane Stadium’s Premium Seating earns current and cumulative gift credit towards your Hokie Club point priority ranking. 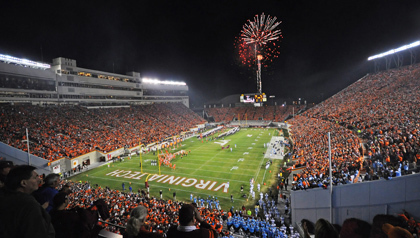 A portion of your seat donation will be applied toward the annual fund giving level for scholarships and is not eligible for payment toward a pledge or to sport-specific giving. 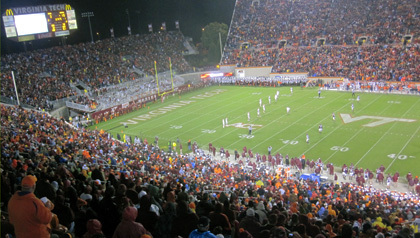 Full payment of the premium donation must be received in order for tickets to be shipped. 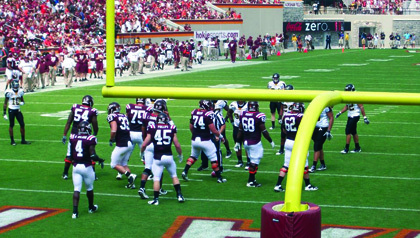 The Virginia Tech Foundation, which acts as the depository for the Virginia Tech Athletic Fund, is a non-profit 501(c)(3) organization. 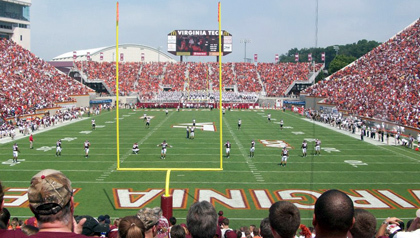 For gifts designated to the Virginia Tech Athletic Fund, we are currently reviewing recent tax law changes and expect to provide additional information regarding the implications for such gifts at a later day. 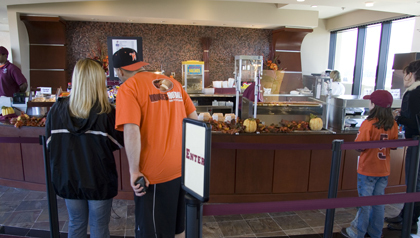 We recommend you consult your tax advisor to determine how the new tax law may affect you.